It was a very nice day in NYC. All day, the weather was sunny and warm for its winter. During the day, Hattori-san and I were busy running around to shop for additional stuff needed for our exhibition booth at the trade show which will start tomorrow. 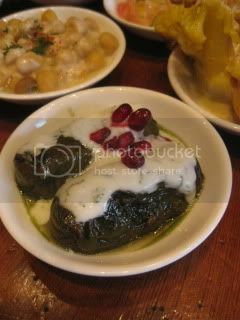 We took a short brunch break at Hummus Kitchen in Hell's Kitchen. 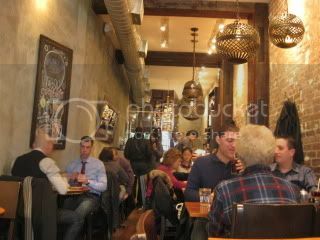 It's a cute Middle-Eastern restaurant. 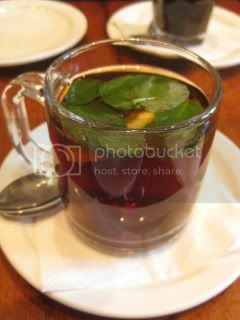 Black mint tea was quite strong. maze of assorted dishes was nice. 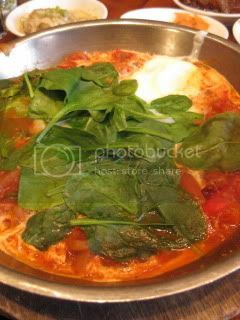 Green shakshuka was a Mediterranean stew of tomato, bell peppers, onions, with 2 over-easy eggs and spinach. 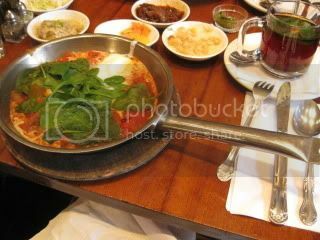 The dish was served in a hot skillet.